The first official photo from Guillermo del Toro’s sci-fi epic Pacific Rim has been released. 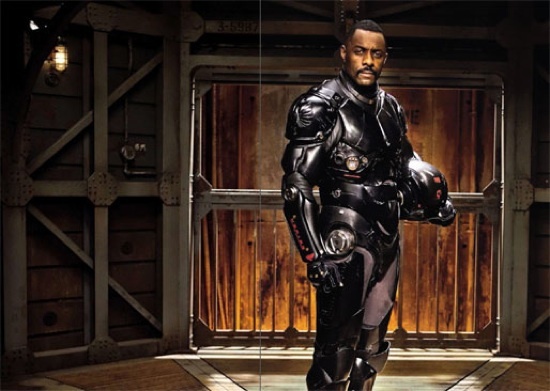 It features Idris Elba suited up as Stacker Pentecost, one of the pilots of the robots used in the war against large creatures that surfaced from the ocean. I am really interested in how this movie will turn out. Pacific Rim releases in theaters July 12, 2013. Yes with a sense like that it should turn out to pretty well!